Game developer Lars Doucet has formed WhoLetsPlay which aims to give content creators tools and knowledge to avoid and combat infringement claims. 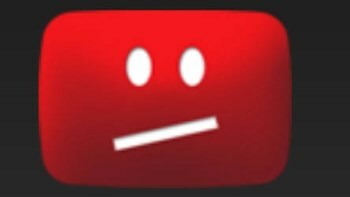 At least on the videogame front, things haven't been going well at YouTube lately. Thanks to the long-archaic standards of current copyright law and recent policy changes implemented by the video upload site, countless YouTubers' using video clips and music from outside sources have found their content and channels subject to new infringement claims even where there are none to be found. These claims, in turn, have led some to lose money from potential ad revenue and left many others wondering if YouTube can still be trusted as a viable platform for independently created video content. Hoping to give the Let's Play community more resources in the ongoing battle, game developer Lars Doucet, the co-founder of Level Up Labs and maker of games like Tourette's Quest, has formed the non-profit WhoLetsPlay. The new organization aims to create a resource for content creators where they'll find information about which companies are open to people using footage and music from their properties for outside use. It is also working with legal professionals to create a broad copyright note that creators can paste into licensing agreements to help avoid future problems. "We want to create standardized licensing terms that can be a stand-alone rider, or a paragraph of some sort you can copy-paste into existing music agreements," said Doucet. Ultimately, Doucet hopes WhoLetsPlay will be able to offer content creators the knowledge they need to "educate [themselves] on these legal minefields in a simple and clear way." The first step in this process is the creation of an official website, which will feature a "Known Bad Actors" list detailing which companies employ YouTube's Content ID option the most aggressively. "We can warn developers and musicians not to work with them," said Doucet. "It could be useful to know if doing business with someone is likely to get your fans in trouble."